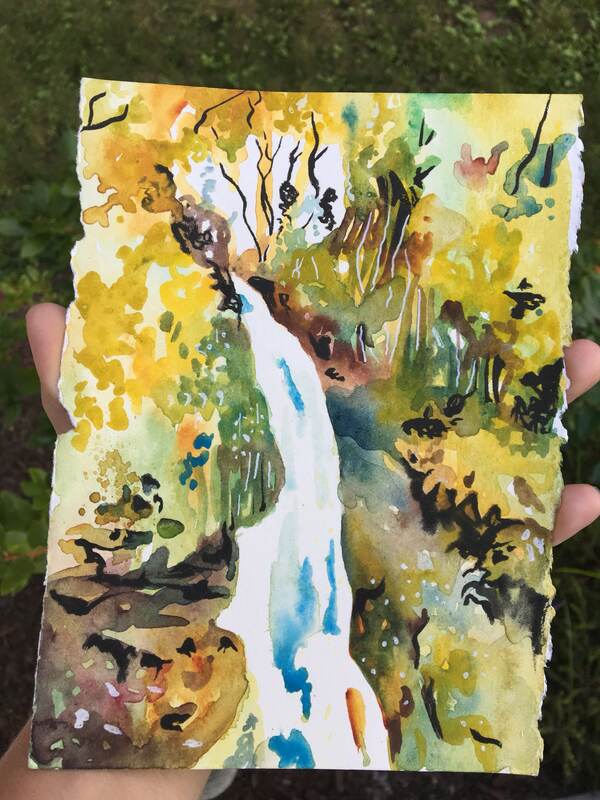 Waterfalls are a lot of fun to paint. 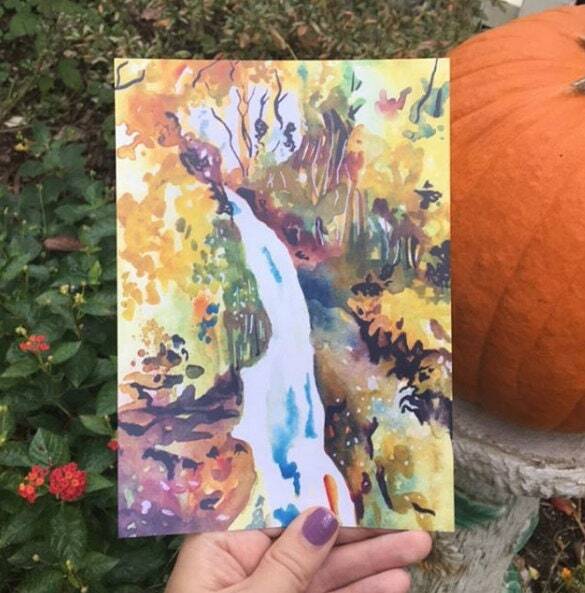 Despite this I have not painted many of them. 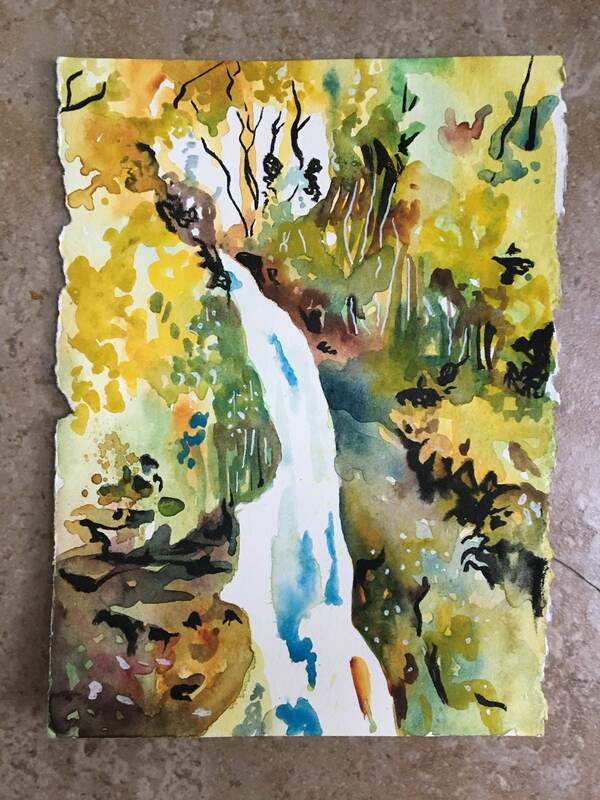 This warm little waterfall painting is of a beautiful spot in New Zealand. 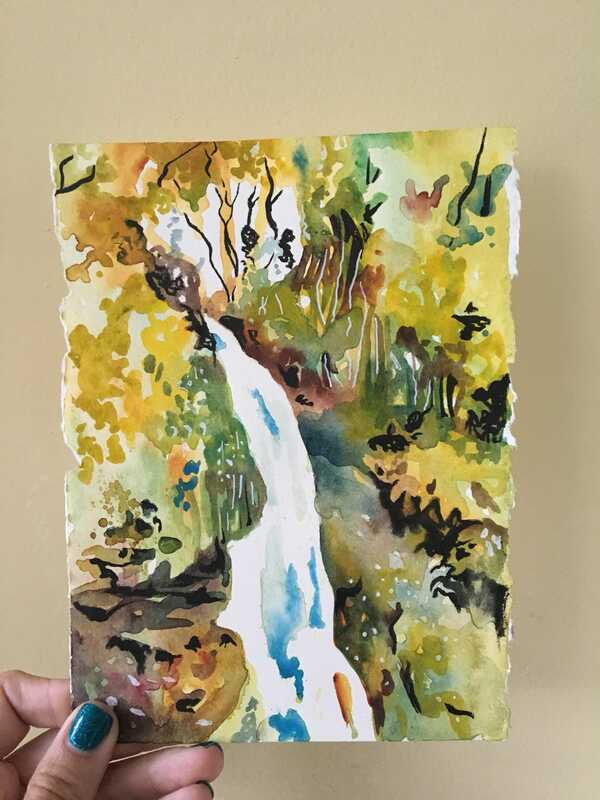 Sadly, I forget the name of the specific falls depicted. I will always remember the beauty though. Art prints of water are good to hang in bathrooms, kitchens, and laundry rooms. Clean, fresh, and revitalizing this print will lift you up every time you take a glance. 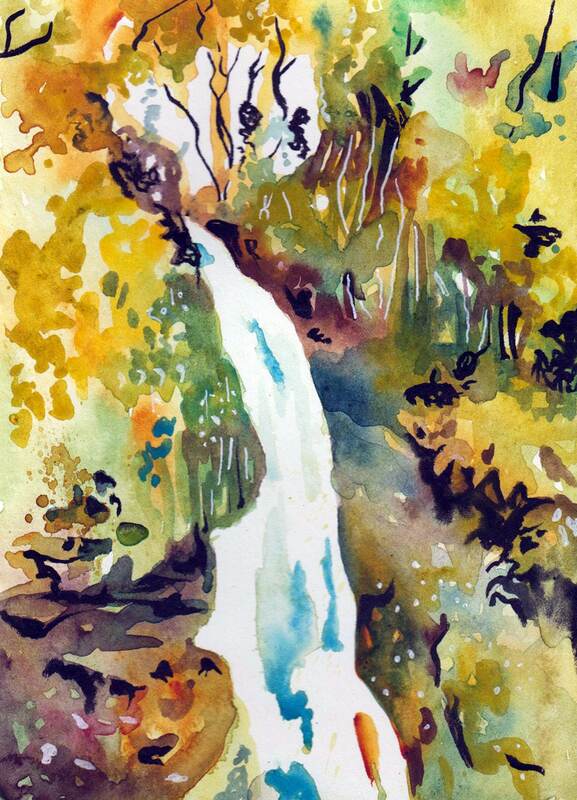 This is a print of one of my original water color and ink paintings, "Woodland Waterfall." Very beautiful and came faster than expected! I love it.